If you fancy a European trip during the winter than Portugal is definitely worth a look. In terms of temperature, it is a country of contrasts at this time of year – the beaches remain open in the southern Algarve region, while skiing is available in Serra de Estrela in the east. If you fancy something in between, New Year's Eve in Lisbon is lively and friendly. Here are my three suggestions for making the post of Portugal this winter. Winter is a great time to visit the traditionally touristy Algarve region, served by Faro Airport. 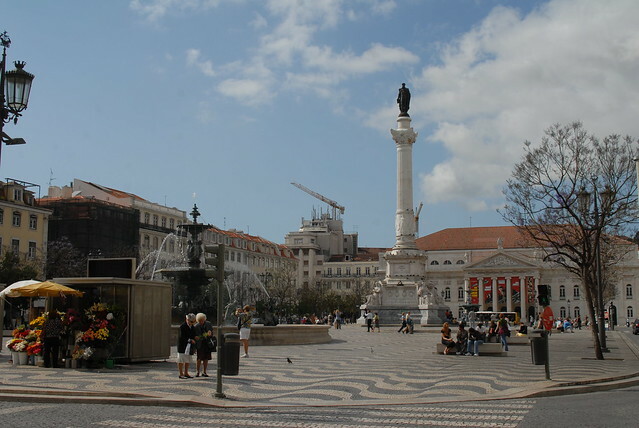 Rail links are good in Portugal or inexpensive car hire can also be picked up during the winter months and is a great way to see the region. Although some restaurants and shops will close, most remain open with the only nod to the season being slightly reduced opening hours. The climate during the winter is great for walking. Try the rugged cliff-top paths between Salema and Luz or, for the more committed walker, the Algarve Way runs across the region, from the Spanish border in the east to Cape St Vincent, where Portugal’s south and west coasts meet. New Year's Eve in the capital Lisbon centers on Praça do Comércio (Commerce Square), or Terreiro do Paço (Palace Square) as confusingly it is often still known due to the palace that stood here until the late 18th century. Located by the River Tagus, the evening typically involves a major band performing and fireworks to mark the beginning of the new year. You don’t have to be in the square itself to enjoy the fireworks – somewhere nearby on the river is probably best and less crowded. Afterwards, it’s a good plan to head to the Bairro Alto district, about a 15 to 20-minute walk away, where it’s still lively but there’s a better selection of bars that will be open through the night. The Serra da Estrela National Park in western Portugal boasts the country’s largest mountains and during winter there is skiing available. It’s not the biggest ski resort ever but there are four lifts and nine runs and is ideal if you’re into snowboarding or maybe just fancy a day or two on the slopes as part of a larger trip round the country. Even if you don’t ski, the park looks stunning at this time of year. I love Portugal in the winter as it offers infinite possibilities, particularly in the south where the weather is temperate and the coast less crowded than at other times of the year. About the Author: This post was written by Duncan Constable. Looks so pretty! I need a passport badly. I’ve always wanted to spend NYE in Lisbon! Portugal is the very best European winter destination I could ever imagine! I’m planning to be in Portugal this January (2015). Where did you stay in the Algarve that was near the lovely beaches and low budget? Any recommendations you suggest will be appreciated. I’m 66 solo, female, fairly experienced traveler. It depends what you are looking for, but considering that in winter some of the great beaches are empty and small towns have no life, probably is good to stay by Faro, Portimão, Olhão Lagos or Albufeira. I highly recommend you to explore Portugal walking along the coastline. Rota Vicentina is a newly created long distance path along the Sw coast of Portugal, between the city of Santiago do Cacém and the Cape of St. Vincent, totalling more than 340 km to walk along one of the most beautiful and best preserved coast lines of southern Europe.